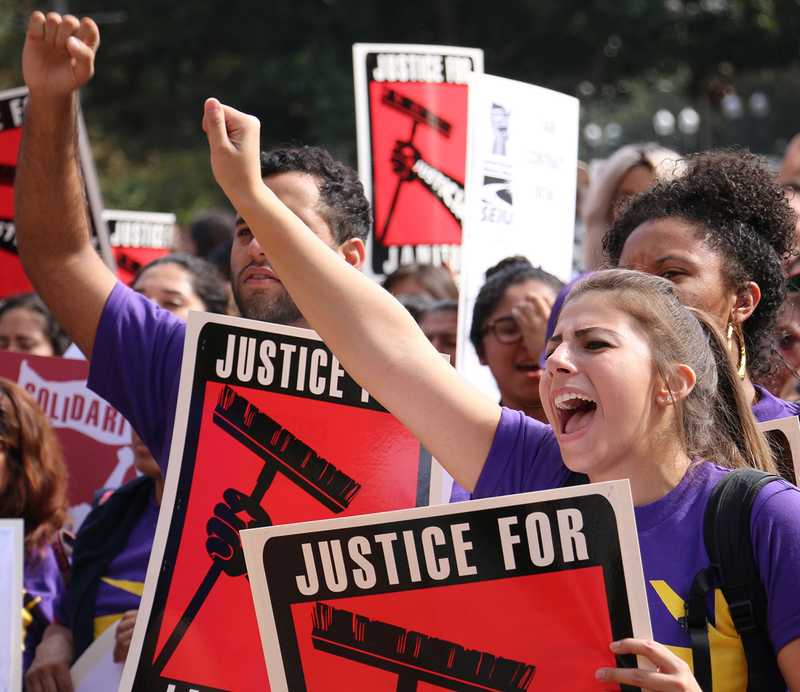 “Si, se puede!” was the rallying cry once again at Tuesday’s Justice for Janitors demonstration, which brought USC service workers, students and faculty together to demand higher wages and better health benefits for janitors on campus. More than 100 protesters gathered on Trousdale Parkway before circling campus and assembling in front of Bovard Auditorium to address President C. L. Max Nikias and present their demands to administrators. The rally was led by the Service Employees International Union United Service Workers West and supported by the Student Coalition Against Labor Exploitation. 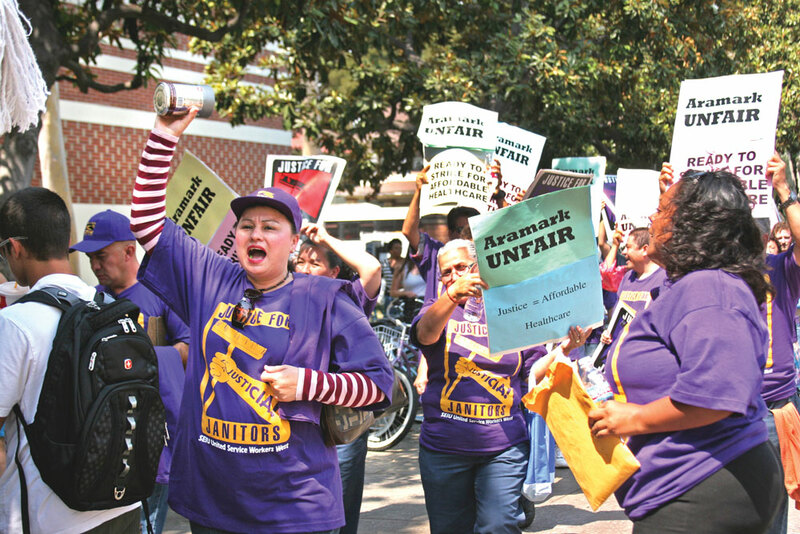 The protests took place ahead of the final round of negotiations between USC service workers and their employer, Aramark, an independent contractor that the University hires to provide janitors and other service staff. 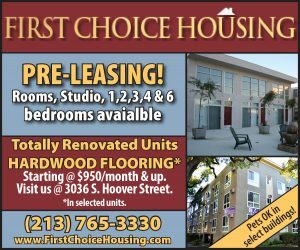 Since their labor contract expired on June 30, labor union representatives from SEIU have been locked in negotiations with Aramark, a process that Edmundo Garcia, the lead contract enforcement specialist for the USC janitors’ USWW chapter, believes is essential for creating fair wages and working conditions. In addition to today’s rally, demonstrations were held on Sept. 4 and Sept. 9. 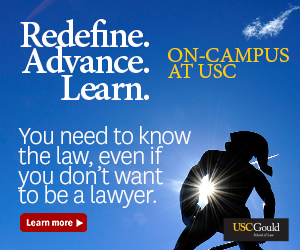 According to Garcia, the protests are taking place at USC because of the unique influence that USC has over the negotiating process. The current negotiations, according to Garcia, have settled on an agreement regarding working conditions — ensuring, among other requirements, that the workers’ labor contract complies with California’s 2014 Healthy Workplace Healthy Family Act — and will now be moving on to purely economic issues, such as workers’ wages and health benefits. Ultimately, Garcia and others want to ensure that newer workers are receiving a wage that they can live off of, while preventing the higher wages of older, more experienced workers from stagnating. Tuesday’s rally brought together not only service workers and SEIU employees, but also involved students and faculty members in the fight for better wages and benefits. Brianna Davidson, a first-year graduate student in the School of Social Work, attended the rally to show support for the workers that she believes deserve a fair contract. Noura Wedell, a lecturer of critical studies at the Roski School of Art and Design, spoke at the demonstration as well, letting workers know that the USC faculty understood and supported their efforts at negotiation. According to Wedell, some faculty are underpaid as well and hope that by making a difference in the wages of the service workers, they too can see results from the University. Depending on the outcome of the ongoing negotiations, which will be concluded on Wednesday, workers will be taking a vote on Friday to decide whether or not to go on strike. 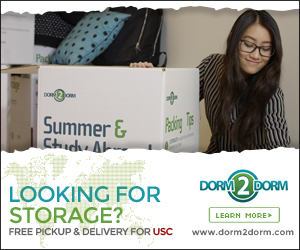 While event organizers, such as SEIU Internal Organizer Luis Fuentes, stressed that “no one wants a strike,” they also acknowledged that workers will take whatever steps they believe are necessary for USC to put pressure on Aramark to meet their demands.